Nobody likes a smelly dog. Keeping your dog clean is important for your dog’s health and hygiene. 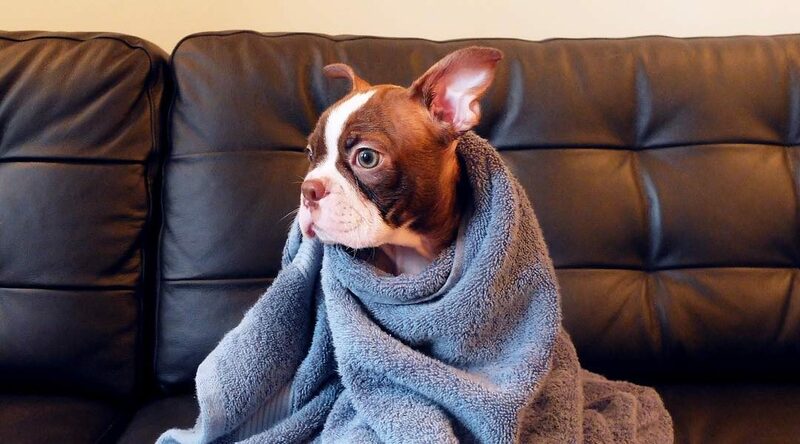 Clean dogs are happier, healthier, and more fun to be around. 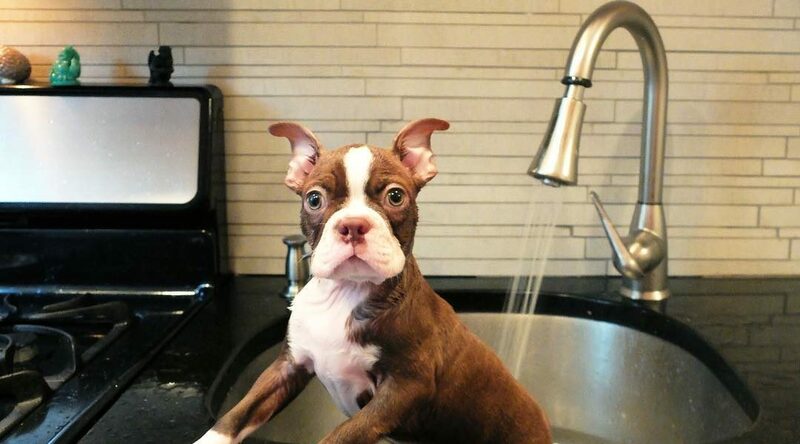 Although regular baths are important, here are some extra tips and tricks to keep your dog at his or her best! Brushing your dog only takes five minutes. Brushing can help remove any loose fur to keep debris and bacteria from matting as well as help you check their skin for any health problems. Most dogs love being brushed and it’s a great time to bond with your dog. You can use a vacuum or Swiffer to pick up the fur bunnies and lint-roller to pick up hairs off clothing and furniture. Brushing your dog outside is always an option to avoid clean-up. Washing your dog’s bedding is important to prevent the build-up of bacteria that can potentially spread on to your dog. Throw your dog’s bedding into the wash regularly to keep unwanted odors out of the house and help your dog smelling fresh. Pet wipes are gentle on your dog’s skin and help deodorize smelly areas. Freshening up your pup is easy by wiping paws before getting into the car or walking in the house. Avoid muddy feet by keeping pet wipes handy in the car and at the door. A good diet can fight smells from the inside out as well as help any gastrointestinal problems. Caring for your dog’s nutritional needs can also promote a healthy digestive system and help your dog feel better. A cheap diet can often lead to odor and flatulence. Oral care is often overlooked but one of the most important parts of dog hygiene. Dogs are prone to plaque and gum disease just like humans so it’s important to care for their teeth. Doggy dental bones, drinking-water additives, and brushing teeth can be powerful tools to help fight plaque buildup. This was a guest post written by Christin Lee. Christin is a yoga instructor, entrepreneur, and lifestyle blogger living in NYC with a passion for universal human rights. She currently writes for InsiderEnvy, a site focused on travel, health and pet care.